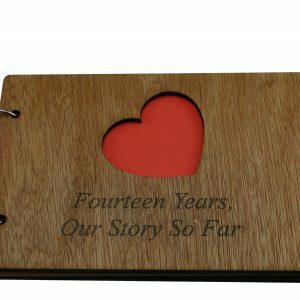 Commemorate your Anniversary with a scrapbook of your years so far, the perfect gift to mark this milestone as a couple or as a married couple. 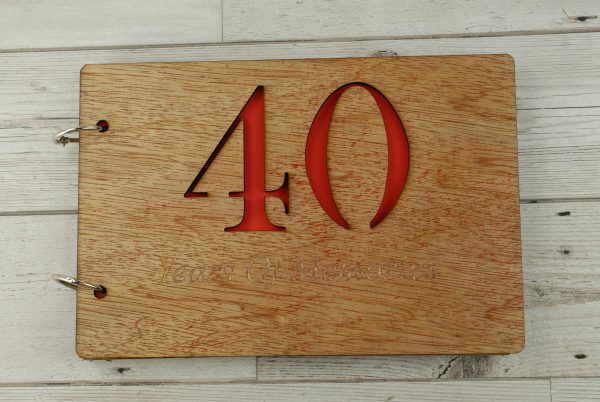 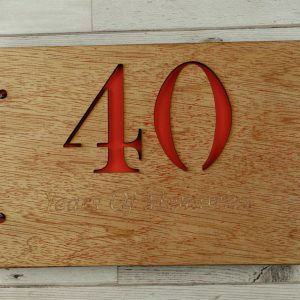 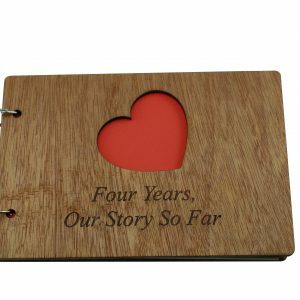 Available in any year you require, if you can’t find your year just choose ‘Other’ and leave a comment in the Personalise box. 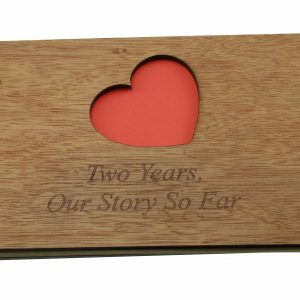 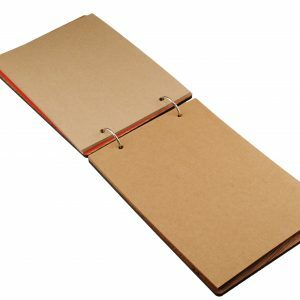 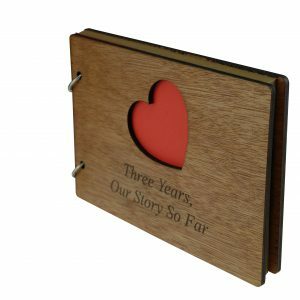 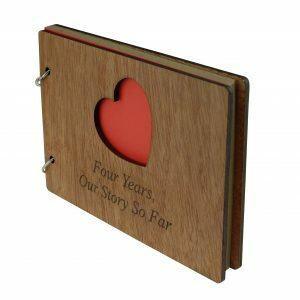 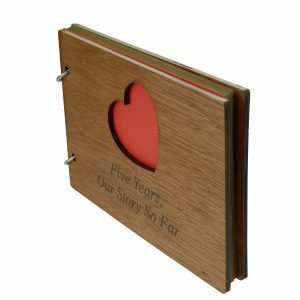 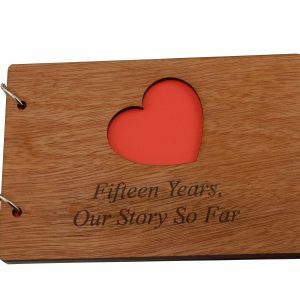 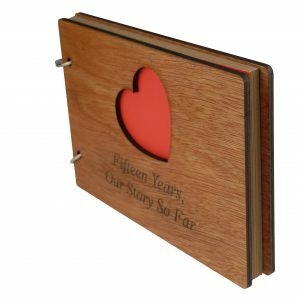 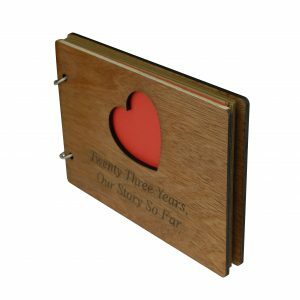 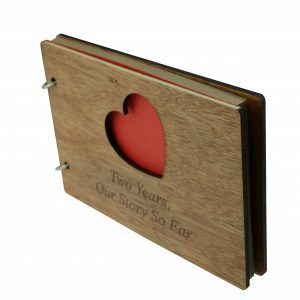 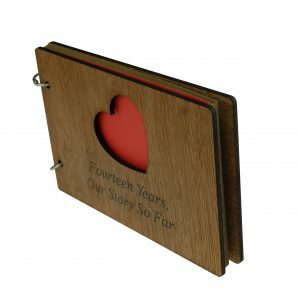 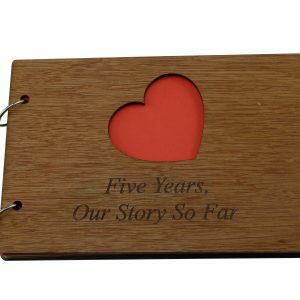 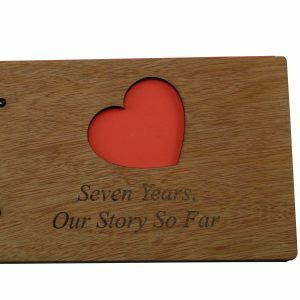 The scrapbook is bound with a quality wooden cover at the front and the back, the front cover has a heart cut out with the inscription laser engraved of your choosing. 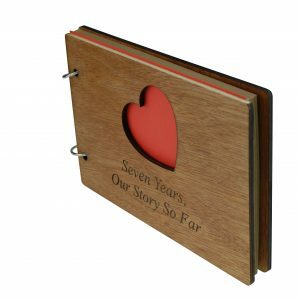 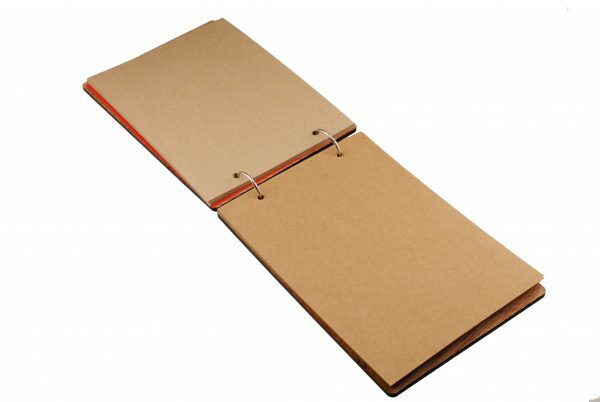 The first page is red card, then 20-26 A5 kraft card pages follow.